Seamless & welded titanium Gr.2 pipes and fittings for a chemical plant in Czech. 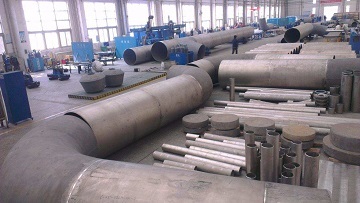 The seamless titanium pipes shall be manufactured according to ASTM B861 Gr.2; the welded titanium pipes shall be manufactured in accordance with ASTM B862 Gr.2. Sizes: 2″~24″, wall thickness: SCH 20, SCH 40, STD, SCH 80. Buyer: Czech client, for the piping of a newly constructed chemical plant.